The Prince of Wales met England and Australia players preparing for the Ashes Test Series and was introduced to staff, volunteers, younger cricketers and young people taking part in the Prince’s Trust “Get Into Hospitality'” programme. 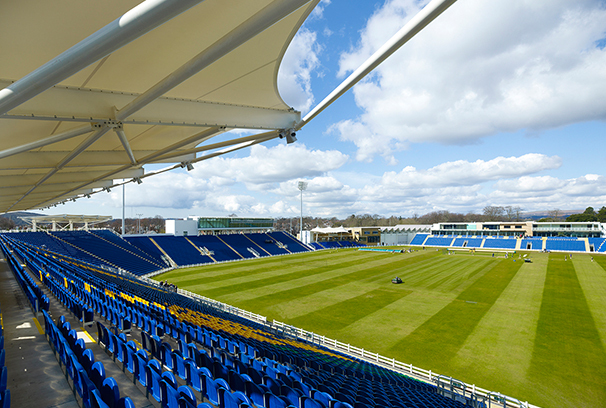 HLN was appointed as project Architects for the Glamorgan Cricket Club ground development at Sophia Gardens, designing the cricket school, riverside stands and the 16,000 spectator seats on stands forming a bowl around the 8.5 acre site incorporating a new Pavilion. Other facilities designed by HLN include the Grandstand, Media Centre, Hospitality Suites, Medical Centre, concession areas, shop and toilets. Prince Charles visited the largest prison in England and Wales to view the prison gardens and meet the young offenders supported by the Prince’s Trust. During his visit Prince Charles also toured the prison gardens and spoke to inmates tending the vegetable patches and flower beds. TV stars Ant & Dec welcomed The Prince of Wales on the prison’s artificial pitch to talk about the Prince’s Trust “Get Started with Football” project, which seeks to rehabilitate offenders through football. 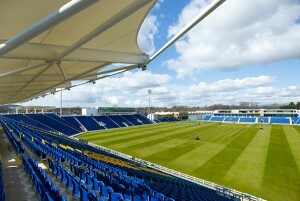 HLN were the Architects for the Phase 1 expansion and Architects, Civil & Structural Engineers for the Phase 2 expansion. 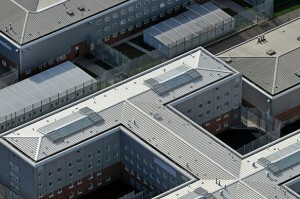 Both projects were designed to achieve BREEAM “Excellent” and have made HMP Parc the largest prison in England and Wales. As you may be aware, HLN Architects have moved from their previous office in Redditch and are now located in Bromsgrove. Business in the Community have this week been holding Responsible Business Week to raise awareness and maximise the powerful role business has in creating a fairer society and more sustainable future. BITC, in partnership with 3M, hosted a conference which allowed delegates to hear accomplishments from leading companies who are successfully integrating innovation and sustainability strategies to help overcome challenges in their organisations. HLN Group are delighted to announce that the reorganization of its business structure has now been completed. HLN Group now comprises two trading companies, HLN Architecture Ltd and HLN Engineering Ltd.
Bay Associates Consulting Ltd has been part of the HLN Group since 2009 and during this time, the HLN Group has evolved into a multi-disciplinary practice providing both Architectural and Engineering design solutions to its clients. As part of this evolution, Bay Associates Consulting Ltd’s trading name will be replaced from the 1st February 2015 and the company will trade as HLN Engineering Ltd. Our “@bayassociates.co.uk” email domain will also change to “@hlngroup.co.uk”. This change will reinforce the HLN Group as a multi-disciplinary practice and facilitate our aim to surpass the current level of service. A seamless transition is paramount to all concerned and should you have any questions regarding these changes, please contact HLN by calling 0845 375 3298. HLN staff joined in with this year’s Christmas Jumper Day to raise money for Save The Children. Staff donated generously to wear their festive jumpers and raised over £60. https://www.hlngroup.co.uk/wp-content/uploads/2014/12/Christmas_Jumpers_2014.jpg 742 1632 HLN Group https://www.hlngroup.co.uk/wp-content/uploads/2017/02/HLN-Group-Logo-Homepage1.png HLN Group2014-12-12 15:19:042014-12-12 16:13:47Christmas Jumper Day! Congratulations to 3M on the recent launch of their new “Customer Innovation Centre” in Bracknell, during which Professor Brian Cox delivered a thought-provoking presentation covering quantum mechanics, extra-terrestrial life and advances on the Big Bang theory before taking questions from the floor. HLN are proud to have renewed our Business In The Community membership. HLN are proud to be members of Business In The Community who engage thousands of businesses through their campaigns. Click here to read all about us on their website. Congratulations to the National Police Air Service on the opening of their new airbase in Bournemouth.